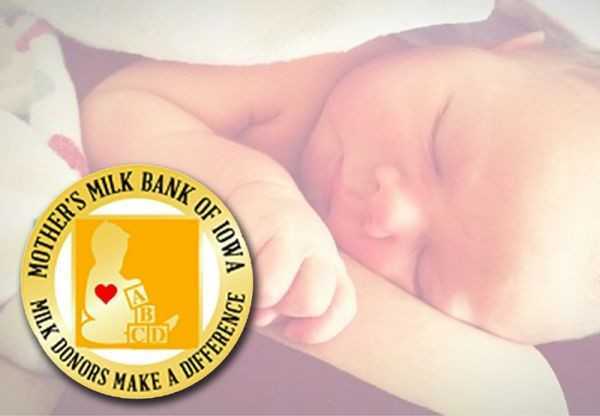 The Mother’s Milk Bank of Iowa was founded in August, 2002, by Jean M. Drulis and Ekhard E. Ziegler, MD using funds they generated from grants, donations and other resources. There were no milk banks in the Midwest and only 4 in the nation when we opened. We launched it for the premature infant in the neonatal intensive care unit (NICU) so they could have a readily available source of human milk. It can be life-saving for this fragile population. It reduces feeding-related risks while providing infection-fighting factors and immune system boosters. 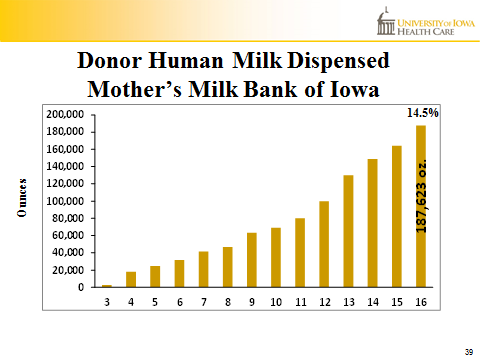 In 2016, the Mother’s Milk Bank of Iowa distributed nearly 188,000 ounces in Iowa and to 12 other states, 87 cities. The majority of the milk (82%) was dispensed to 40 hospitals. 4. In summary, please describe your donor process and links for moms to follow. Women with surplus milk are screened and approved as volunteer milk donors according to the Human Milk Banking Association of North America’s (HMBANA) Guidelines and they adhere to these standards while donating. Milk donors are the foundation of our milk bank. To donate, you must be in good health, willing to pump and store milk according to HMBANA Guidelines and be willing to donate a minimum of 200 ounces of milk. You are screened verbally and in writing for health behaviors and lifestyle. A blood test is required for HIV, HTLV, Hepatitis B and C and syphilis. Healthcare providers for the donor and her infant are contacted. The milk bank pays the screening expenses. 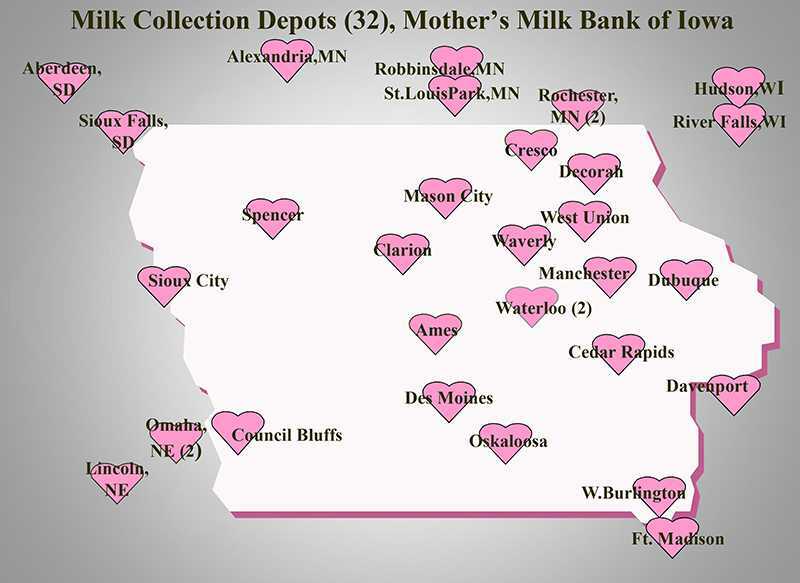 Once you are an approved milk donor, you can deliver your milk to the milk bank or one of our 32 milk collection depots located in Iowa, Minnesota, Nebraska, South Dakota and Wisconsin. If there isn’t a depot close to you, you can ship your milk to us. 5. How can moms can get in touch with your Milk Bank? For more information about becoming a milk donor, please contact Katelin Mohr () and request pre-screening information.